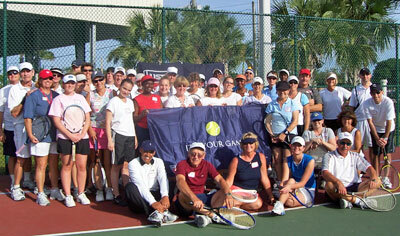 Susie is referring to the fact that on the weekend of Feb. 24-25, Susan and she held two back-to-back Recreational Coach Workshops (RCW) for two uniquely different groups of tennis enthusiasts. One RCW, hosted by the Lee County CTA and Lee County Park and Recreation Department, took place in Fort Myers on Saturday the 24th at The Schandler Hall Community Center and First Serve Site while the other jump started in Naples on Sunday the 25th at The Wilderness Country Club and was hosted by Spike Gonzales. Although it is fascinating that Susan and Susie had enough gusto to hold both RCW’s in the same weekend, even more impressive was that the workshops drew a wide collection of individuals from different associations. 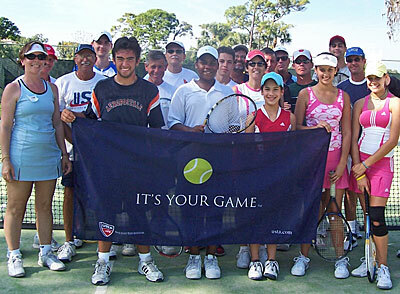 The first RCW brought in mostly park and recreation instructors, school coaches and league players interested in coaching tennis, while several attendees of the second RCW were USPTA or PTR Pros. At the end of the weekend, Southwest Florida had sixty-three new Recreational Coaches anxious to get out into their communities and grow the game. The workshops were nothing short of pure commitment by two individuals working together to continue to grow the game of tennis in Florida. Congrats on a job well done!